The 2019 Formula Drift season is in now full swing. 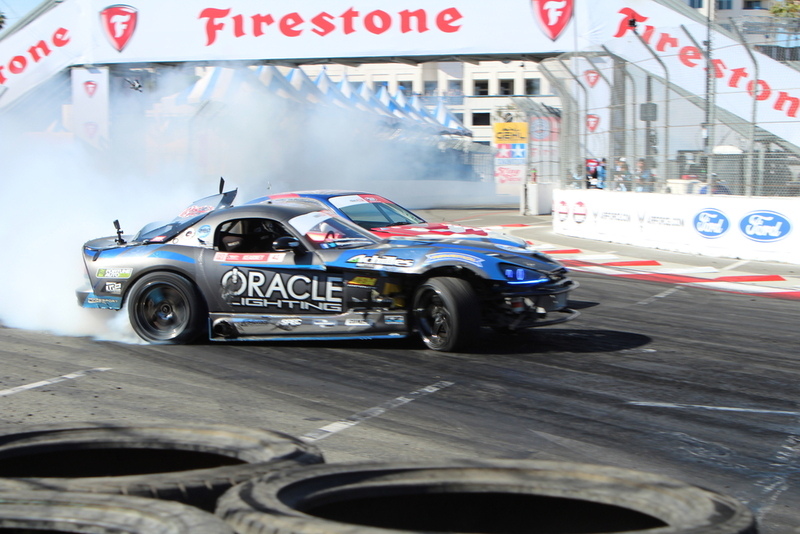 Dodge Forum was in attendance at round 1 in Long Beach, California this past weekend to take in all the action. And you can already see the lines to the championship beginning to form. 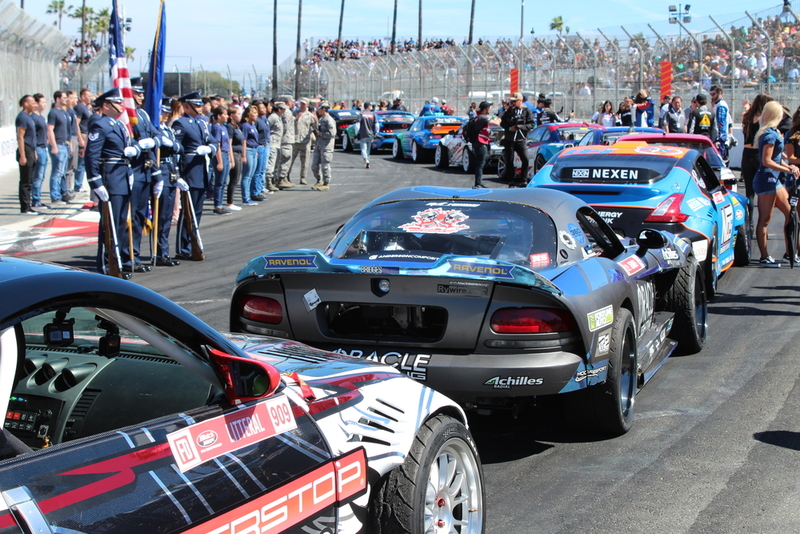 There are over 30 Pro-level Formula Drift drivers. They are driving many different makes featured in the field from loved Japanese chassis, to good old American muscle. But we are going to talk about the lone Dodge Viper competing in the series. Dean Kearney is competing behind the wheel of a twin-turbo V10 powered Dodge Viper. He began campaigning the Viper when he joined multi-time Formula Drift champion Samuel Hubinette’s team back in 2011. 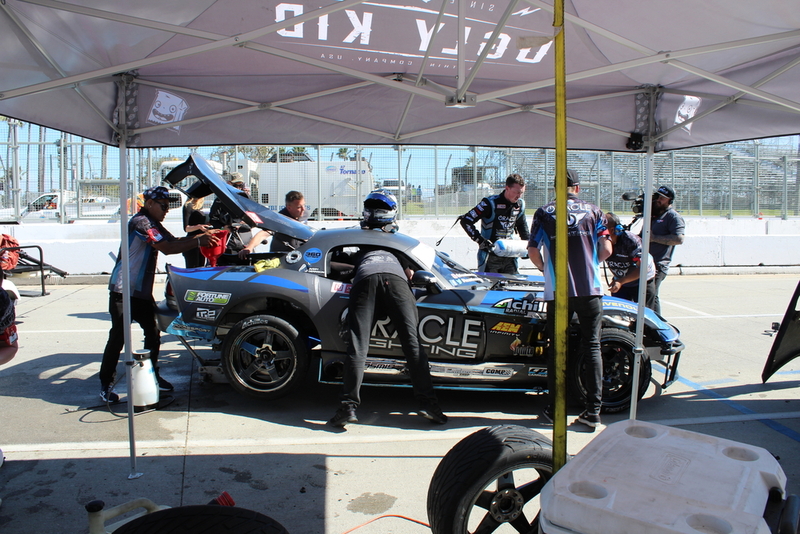 Hubinette folded up his team, and Kearney took his Viper knowledge to his own team. 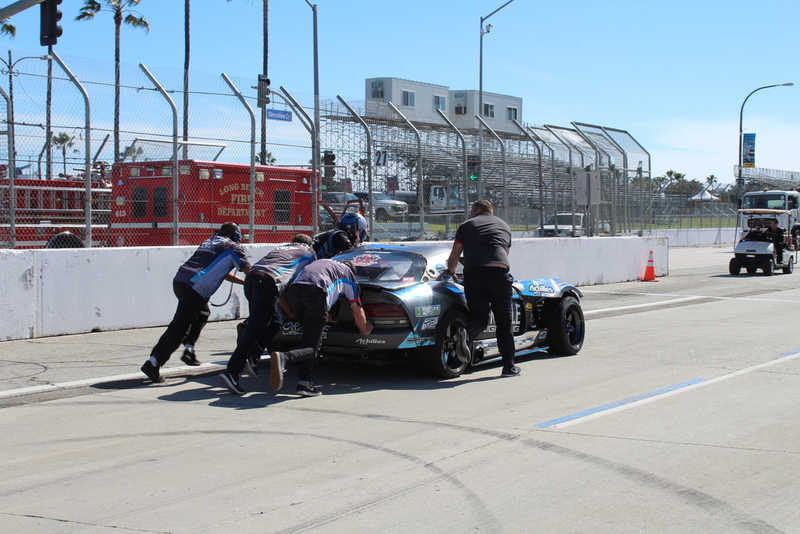 At Long Beach, Kearney and his Viper qualified with a respectable 18th. He defeated Jhonnattan Castro in Top 32. But then he had to get through the defending back-to-back 2017 and 2018 Formula Drift champion James Deane. After “one more time” battles, which showcased his crew teams teamwork ethic, he fell to Deane in the Top 16. During the battles with Deane, Kearney’s Viper was overheating causing him significant issues. The team was throwing everything they could at the car to get it ready for the next battle. In the hot pit, cold water was being thrown all over it, and they were even shooting cold CO2 at it to cool the radiator down. After competition ended, Kearney ended up in 15th place. 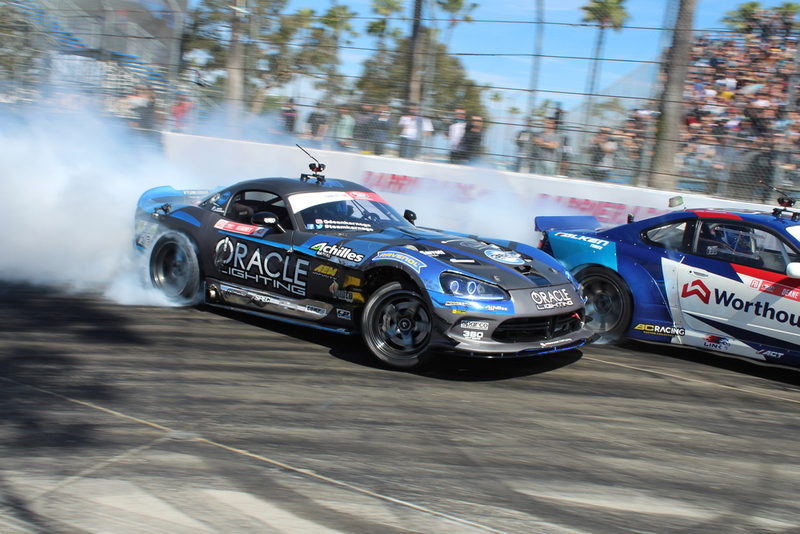 For more drifting action featuring Formula Drift competitors, the Super Drift Challenge Invitational is April 12, which runs with the Grand Prix of Long Beach, April 12 to 14. After the Super Drift Challenge, the Formula Drift competitors will find themselves in Orlando April 25 to 27 for Round 2. 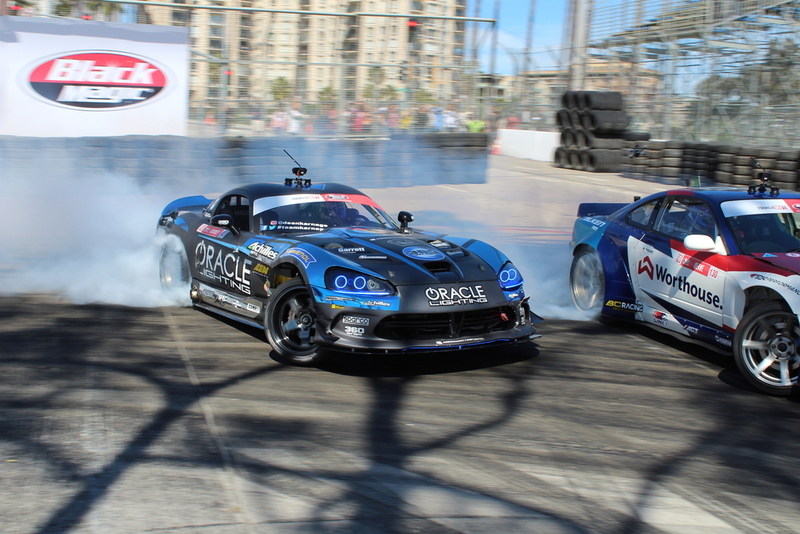 To hold you over until then, check out the Formula Drift Viper gallery below. Become a Dodge Forum member now!